This realistic bloody razor knife prop is a replica even Sweeny Todd would approve of. 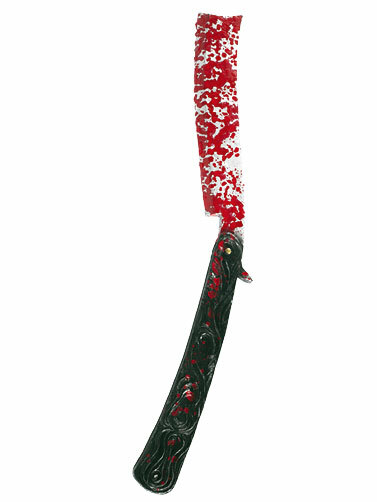 Looks like the real thing with an ornate wood-look handle. Crafted in foam filled latex making it lightweight and totally safe. Great display prop or costume accessory. Knife is all one piece and does not close. Bloody Razor Knife Prop measures 14.5"L x 1.5"W. Ages 14+.